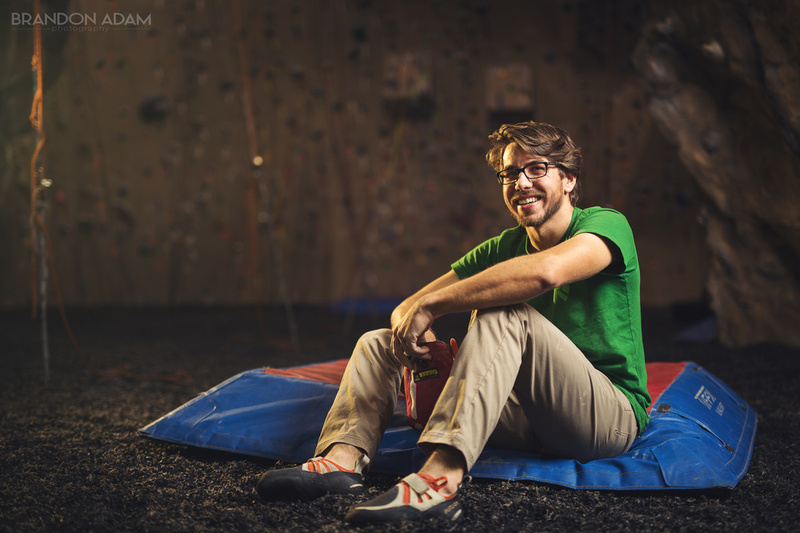 This is a commercial shot taken for a climbing shoe company called Butora. Seems very different from your other work here. He's sitting on a bouldering mat (a.k.a. Crash Pad). Its there so that if you fall off the wall while bouldering, you don't break your ankles or legs.